As you approach your yearbook design, one of the most exciting decisions you’ll make is your color palette; this is your chance to communicate the theme of your book along with the personality of your school. Your color palette also provides a backdrop for the graphics that appear on the pages of your publication. If you don’t have a lot of experience with pairing hues or are without a designer on your committee, don’t fret. I’ll walk you through three basic steps to create the perfect color palette without breaking a sweat! 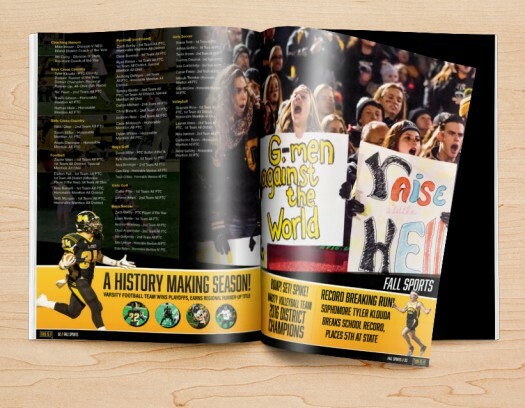 Since your yearbook is a representation of your campus, you should start with the obvious: your school colors! Some schools have beautiful options that are the start of a great palette, like vibrant blues, yellows, and purples. Other palettes can be a little more bland – like my own middle school colors: brown and gold. No matter what, these colors will appear in some of your photos at sporting events, school spirit days, and the like. Even if your school colors aren’t the basis of your yearbook palette, the hues you choose need to compliment your campus tints, because they will definitely wind up on at least a few of the pages of your book. 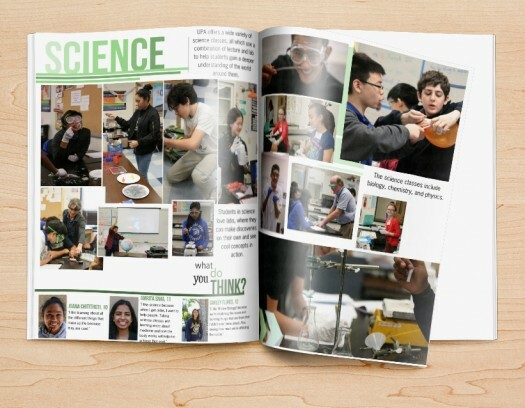 Vivid hues can really help highlight the different areas of your book; they also lend a more modern look and feel to your yearbook. As you’re developing the right color shades for your palette, stay away from heavy, dark colors. 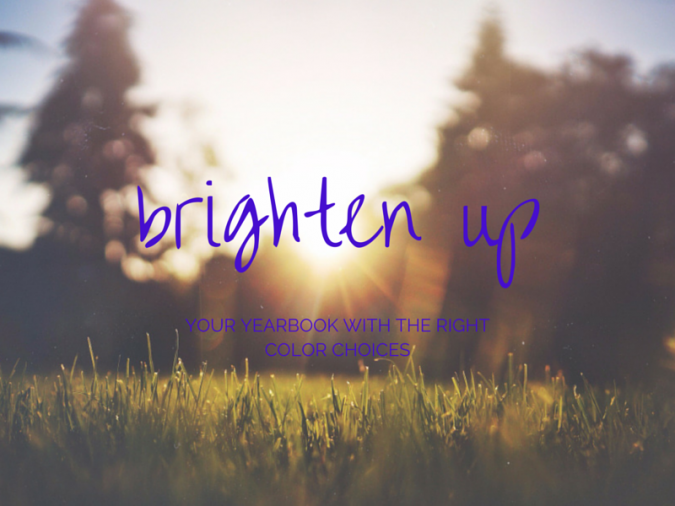 Your yearbook is supposed to be a fun and exciting way for students to remember their year — this means you should opt for hues that evoke a bright, cheerful feeling. You’ll want two to three bold choices that compliment each other to get your palette started. Color Sphere: A comprehensive tool that works as an add-on to your Google Chrome browser. Color Hunter: If you find a photo that has a great color scheme, this app will dissect the image to offer a corresponding color palette. COLOURLovers: A bit like Pinterest for colors, you can find some inspiration and gather fun hues to try within your color palette. Swap out different shades of your chosen colors until you find a few that blend harmoniously together. Viola – your color palette is halfway done! Step Three: Supplemental Neutrals Are A Must, So Add Some! Neutrals are an important part of any palette. While vivid colors will be the focal point of your yearbook design, you need to have some less attention-grabbing colors that work with your bright hues and make them “pop.” Neutrals are especially useful for subheadings and as highlights within your copy to create some balance on each of the pages of your book. Choose muted taupes and grays that work with your palette by comparing them to the vibrant shades you already selected using the apps I outlined above. You’ll want to select one to two neutral colors to supplement your style guide. 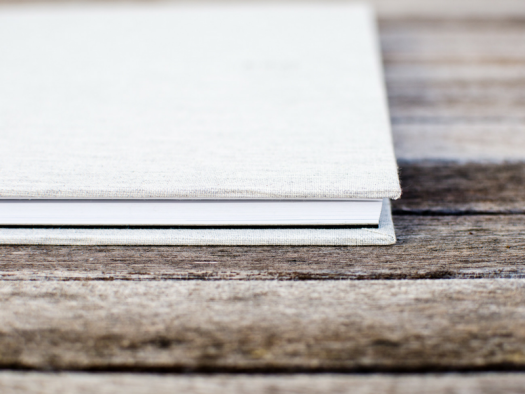 While it might seem unimportant, choosing complimentary neutrals now will help your content look more cohesive and professional in your final print publication. Your theme may be the first step in developing a strong yearbook design, but the colors you choose are a close second. Color drives emotion, and can have a profound impact on how your students interpret your book as a whole. Taking the time to develop a unique color palette now will do more than just help your students relate to the content within your yearbook; it will teach your committee how to build a cohesive yearbook design that sets the tone of your school’s yearbook process for years to come!